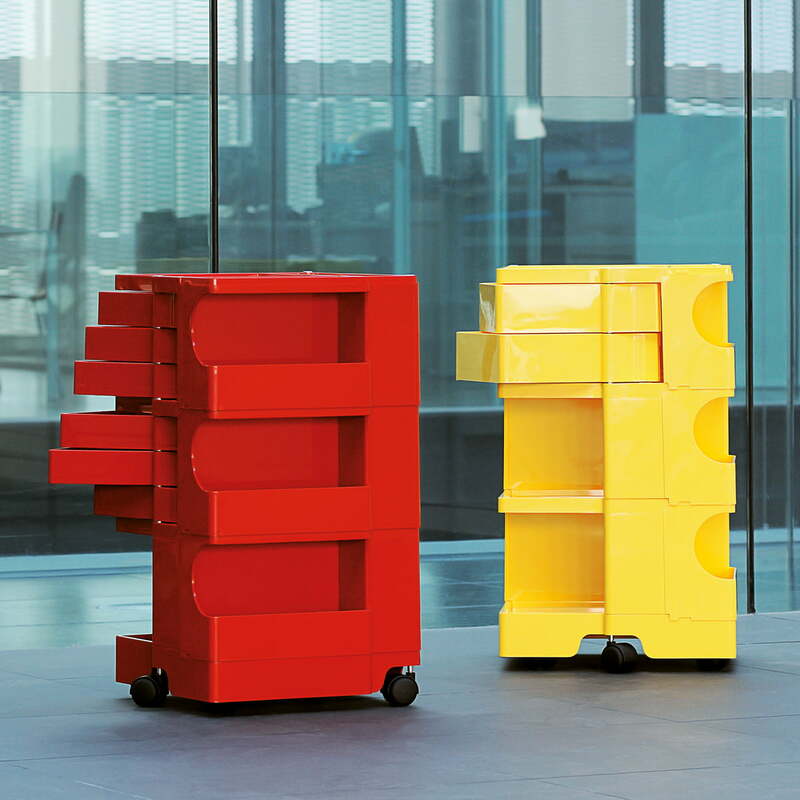 Joe Colombo’s Boby trolley is a beautiful and practical solution for all areas where order and tidiness is required, whether small items or household papers, in the garage or in the office. 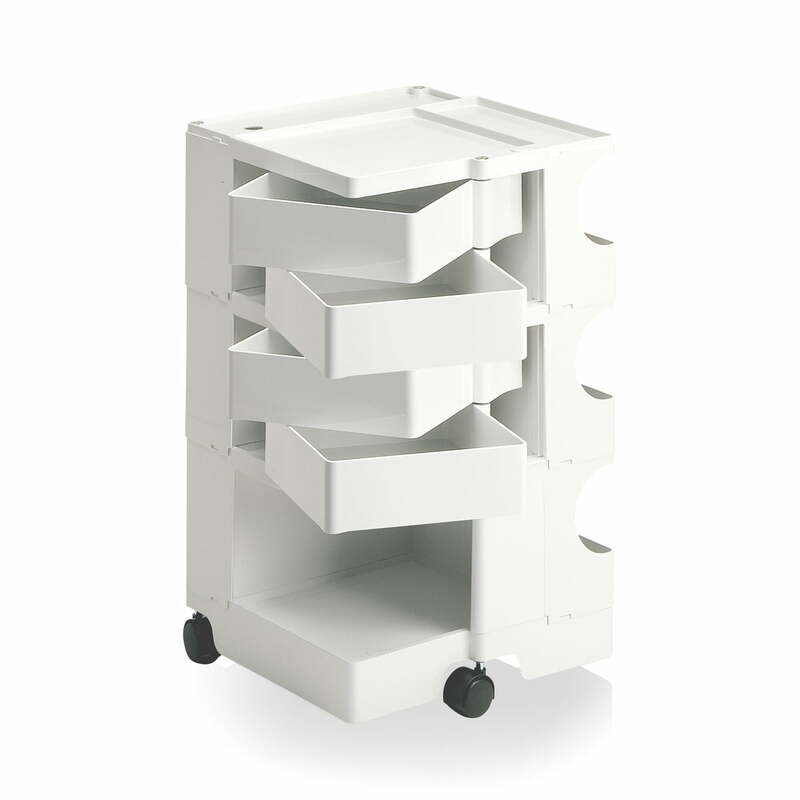 Joe Colombo’s trolley by B-Line keeps things tidy. 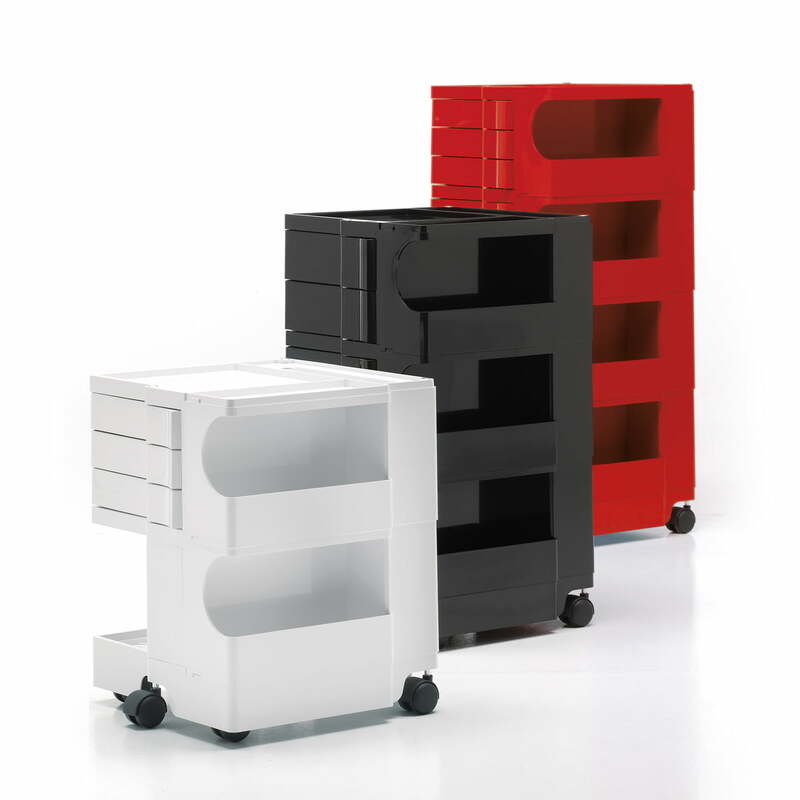 First, the roller container by Joe Colombo with its rotating drawers was created as a “little helper” for drawing tables, but over the time it was used more and more in everyday life in all areas of life and the household due to its versatility and expandability. 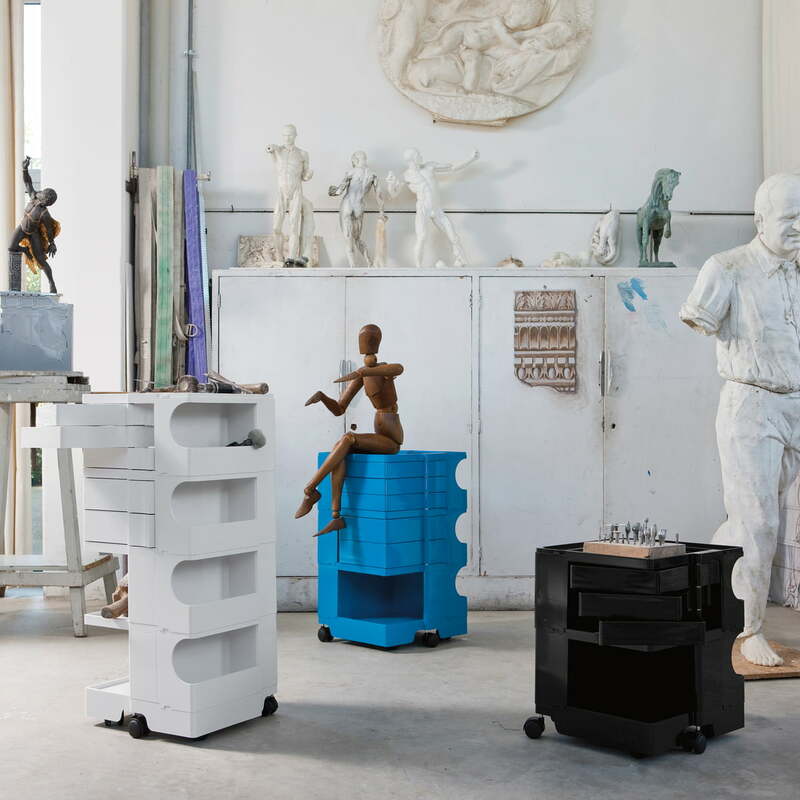 With its voluminous capacity, Joe Colombo’s trolley can be used not only at a drawing table or in an office, but everywhere one has to deal with small parts. It won the first prize on the SMUA in 1971. 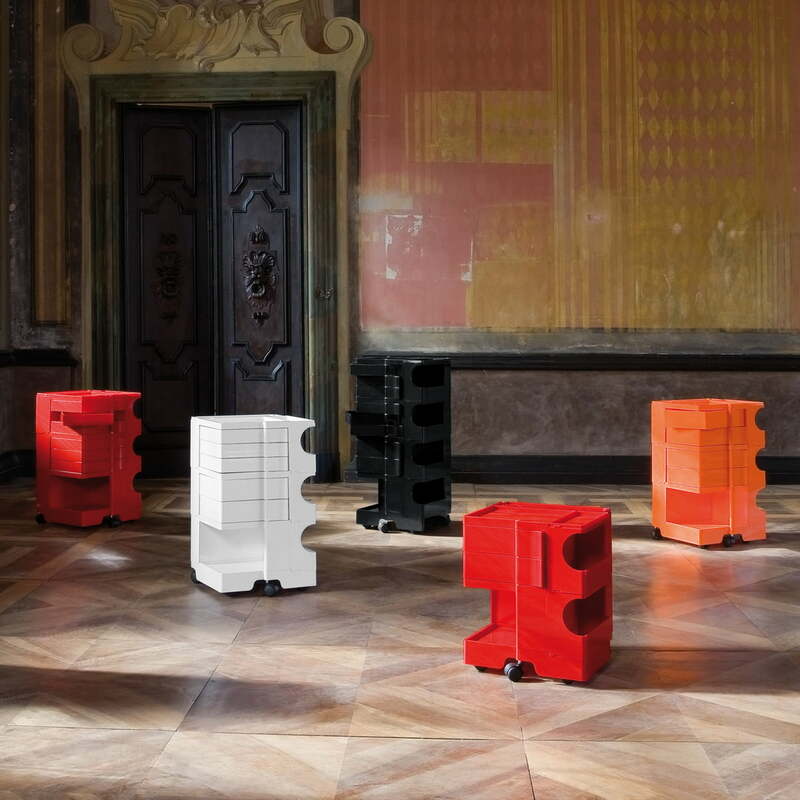 Joe Colombo’s trolley consists of an easily cleanable ABS plastic; it finds its place in a hobby room as well as a professional garage, at a hairdresser’s, in a store or in the bathroom. 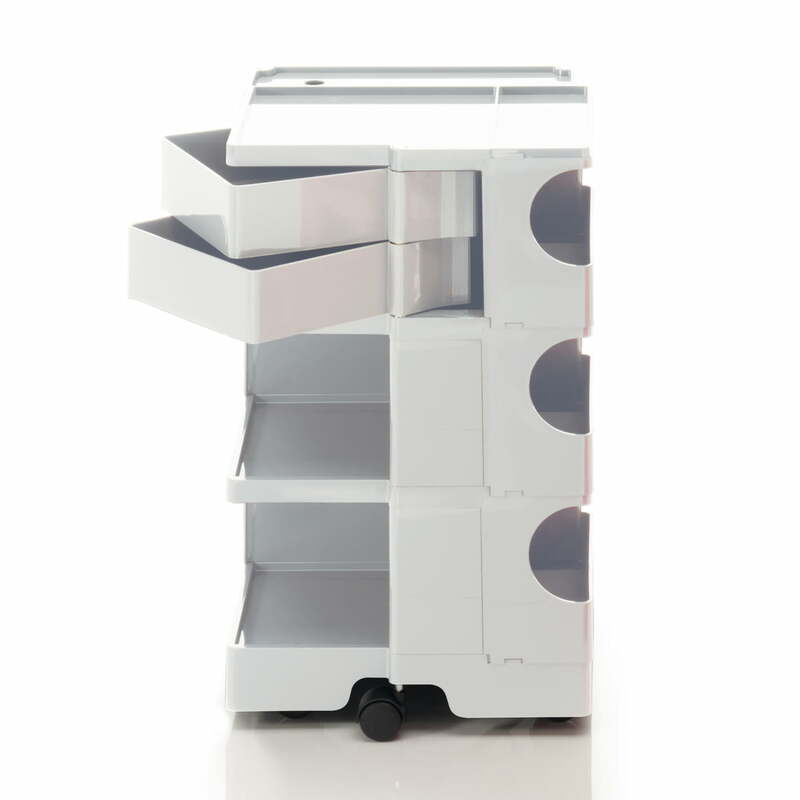 It's a well-done and much useful for storage in the reading room. 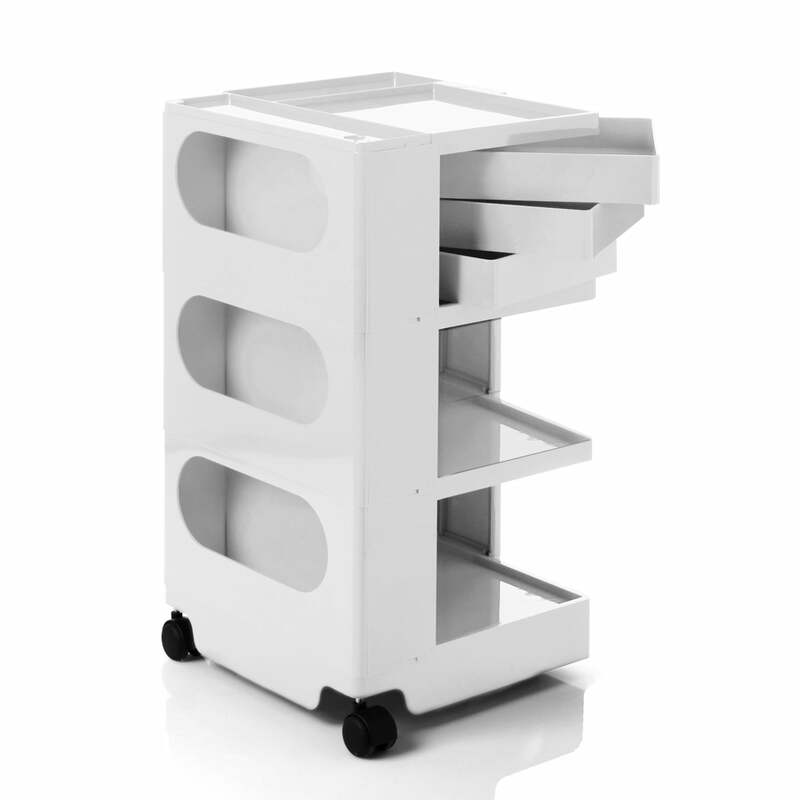 If you wanted found a good-look and practical trolley, the B-Line will be the best choice.